Great to see that Emory Douglas is still hard at work in his neighbourhood. 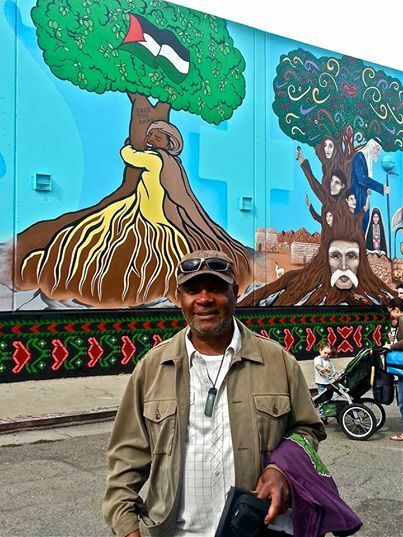 Here’s a nice shot of the legendary revolutionary artist, who gave us the Black Panther Party’s most evocative artwork, standing next to his contribution to a new mural about the Palestinian freedom struggle that was recently unveiled in Oakland, California. This entry was posted in Art, Follytricks! and tagged Black Panther Party, Emory Douglas, Gaza, murals, Oakland, Palestine, revolutionary art, Street Art. Bookmark the permalink.